Viktor "Isildur1" Blom shipped his fourth SCOOP title after winning the $2,100 HORSE event $59,780. 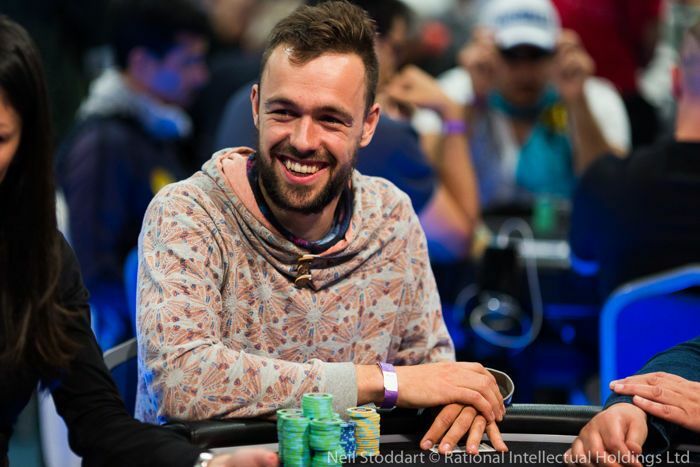 Viktor "Isildur1" Blom outlasted a field of 122 entrants (83 entries + 39 reentries) to win the SCOOP-41-H: $2,100 HORSE, $200K Gtd at PokerStars for $59,780 to claim his fourth SCOOP title and his fifth COOP title. 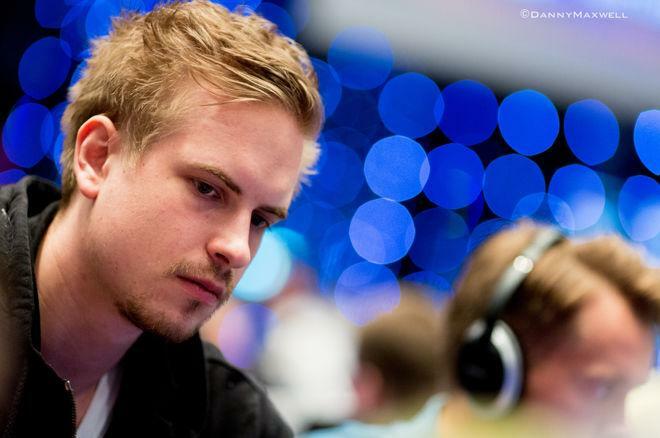 The Swede's first two SCOOP titles came a day apart in 2012 when he shipped the SCOOP-02-M: $215 NL Hold'em [$1M Gtd] for $247,000 and the SCOOP-03-H: $530+R NL Hold'em [6-Max, Action Hour, $400K Gtd] for $160,000. The following year in 2013, Blom shipped the biggest SCOOP event of them all, the SCOOP-43-H: $10,300 NL Hold'em Main Event, $3M Gtd, $500K+ to 1st! for $1,096,200. While Blom is most known online for his high-stakes cash game prowess, he has now amassed almost $3.8 million in online tournament cashes in 3,300 tournaments according to Official Poker Rankings. The win is just a drop in the bucket for Blom. After all, he often plays in cash game pots bigger than the win. 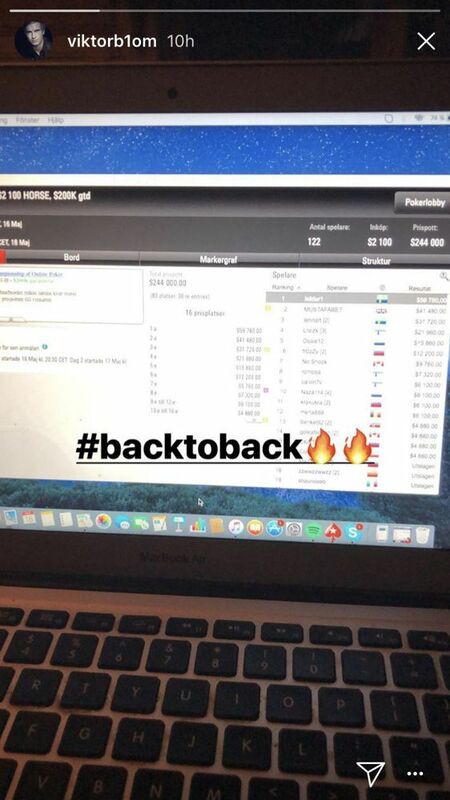 The victory did excite him nonetheless as he shared on Instagram that it represented back to back COOP wins in HORSE events with him shipping the WCOOP-58-H: $2,100 HORSE, $200K Gtd in September 2017 for $60,760. Former WSOP Main Event November Niner Jerry "hummylun" Wong nailed down his second SCOOP victory this festival after outlasting a huge field of 3,152 entrants to win the SCOOP-35-L: $11 5-Card NLO8 [6-Max], $40K Gtd for $5,761. This represents his second SCOOP title of the year after previously shipping the SCOOP-27-H: $1,050 NLHE [6-Max, Progressive KO, Turbo], $1,000,000 Gtd for $163,672 ($86,047 prize + $77,625 in bounties). 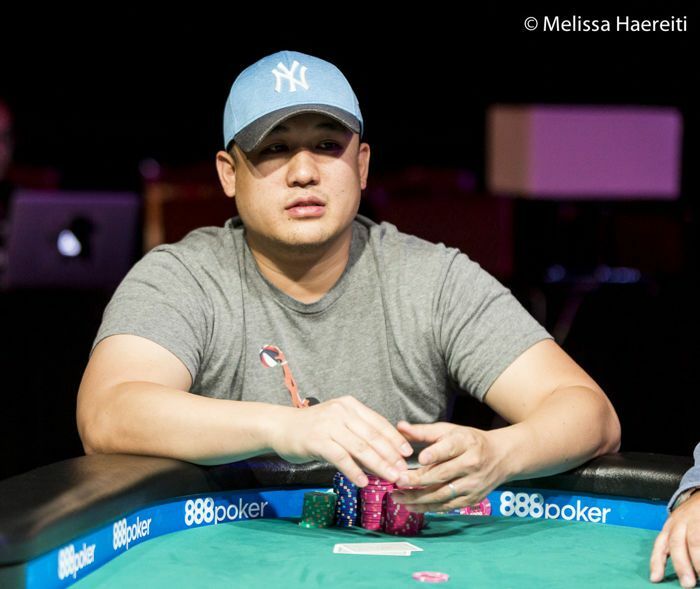 Wong is having a SCOOP for the ages with 30 cashes thus far to propel him close to $3.7 million in online cashes according to his PocketFives profile page. The American poker refugee now has six COOP titles including four in SCOOP events and another two in WCOOP events. Two days after winning the SCOOP-32-H: $10,300 PLO [6-Max, High Roller], $1,000,000 Gtd for $283,261, Ole "wizowizo" Schemion became the sixth player to win multiple SCOOP titles this festival after besting a field of 1,042 players in the SCOOP-36-H: $530 NLHE [Deep Stacks], $400K Gtd for $85,080. In addition to Wong and Schemion, Roman "RomeOpro" Romanovsky, Rui "RuiNF" Ferreira, Calvin "Cal42688" Anderson, and "tr!pleeeee" have all won two 2018 SCOOP titles thus far. *Lead image courtesy of Danny Maxwell. The Stars Group is a majority shareholder in iBus Media.